Unlike traditional educational classrooms we provide adult learners with individualized learning plans; allowing them to work at their own pace to improve basic education and workplace skills. We do not give "tests." We use standardized assessments as benchmarks to determine each person's progress and provide the resources necessary to reach his/her goals. Families that read together are stronger families. If an individual needs help reading to his/her children or grandchildren, we provide one-on-one tutoring for no charge. We can also offer guidance in choosing what books are best for each family to read. Parents and grandparents active in his/her children's learning create stronger families. Serving our communities by providing a wide range of basic educational and workplace skills, we will help to build communities that are stronger in both economic and human measures. A well-trained workforce will help attract strong employers. Lifelong Learning Programs relies on volunteer tutors to help make our program a success. We make every effort to match adult leaners with the right tutor to help each adult succeed. Whether an adult learner wants to improve basic reading skills or wants to earn a GED, our tutors help each person attain those goals. Tutors do not have to be trained teachers. They just need to have compassion for helping others. We provide free tutor training for anyone interested in volunteering 2 hours a week to help another person improve his/her life or work situation. It is a great way to serve our communities. 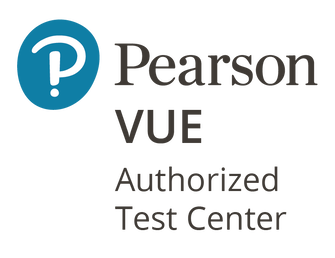 Pearson VUE Authorized Test Centers are privately owned, third-party testing facilities which provide on-site, on-demand testing for certification and professional licensure exams.